You are a stickler for details. You love to apply critical thinking to problem-solving. You are independent and self-motivated. You have excellent communication skills. You are a perfect candidate for the Medical Coding Specialist certificate. Demand continues to soar for specialists who can accurately and efficiently code healthcare information. With a Medical Coding Specialist Certificate, you’ll use your skills along with the latest technology to analyze documentation and correctly report patient diagnoses and procedures for healthcare reimbursement. Apply your knowledge of health information technology, healthcare delivery and record documentation to your coding duties. You’ll receive free memberships to both the national Healthcare Information and Management Systems Society (HIMSS) and the Greater Kansas City HIMSS chapter, giving you access to the industry’s most powerful resources with an immense network of industry professionals. 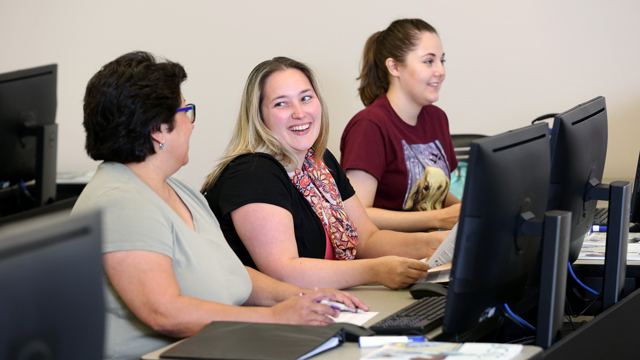 Or continue on at JCCC to achieve your Associate of Science-Health Information Systems. Should you decide to move on to a bachelor’s or master’s degree, your credits will transfer to the Healthcare Information Management program at The University of Kansas and Ottawa University’s clinical and nonclinical bachelor’s degree programs in Health Care Management, among others. See our transfer guides for details about other schools.